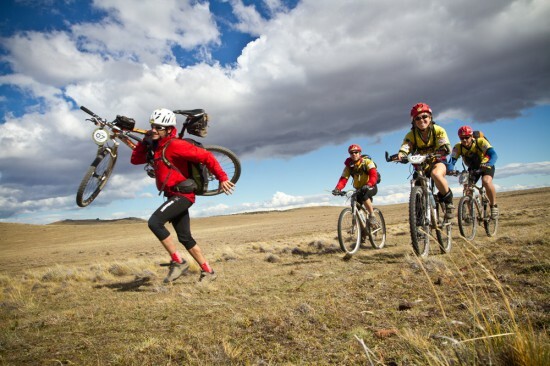 When it comes to daring pursuits, they don’t come much tougher than trying to conquer Patagonia on foot, cycle and kayak. But for British explorer Nick Gracie, successfully battling his way through this most demanding of landscapes once is not enough, he decided he wanted to do it again. After successfully winning the notorious Patagonian Expedition Race last year alongside three fellow Brits, the London-based adventurer returned to the fray once more this year with new teammates. His reason for taking on the grueling 375 mile challenge once again? It’s apparently as simple as the fact that a friend bet him that he couldn’t win it twice in a row. The decision proved to be the right one though, with Gracie and his new teammates having led throughout this ultimate adventure challenge and eventually crossing the line victorious again. 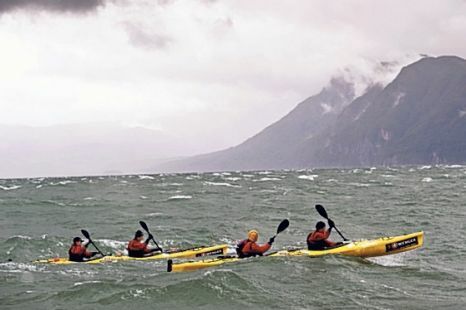 They endured a tough end to the course, with the notoriously unpredictable weather putting paid to the final stages, with the 10 teams that had made it that far unable to safely attempt the 35-mile kayak across the Beagle Channel due to strong winds. Instead, they hitched a lift with a boat before ceremonially paddling the final stretch to the finish at Pia Fjord at the most southern point of the Americas. Not that they had enjoyed an easy ride of course, Nick Gracie and his Adidas TERREX/Prunesco had endured 10 days of rigorous challenges, completing the course in a total of 147 hours and 39 minutes. So, what else did they have to take on along the way? Well, the 10-day event, also dubbed ‘The Adventure at the End of the World’, took the challengers through the starkly beautiful yet unforgiving wilderness of Chilean Patagonia. There were 19 hardy teams of four from across the world competing to make it to the end of the 10th edition of the race, which first launched in 2004. Only 10 of those managed to cross the finish line however, but the fact that this was the highest completion rate of any expedition so far shows just how tough it is. Competitors battled rugged mountainous terrain, raging rivers and icy waters as well as thick forests and snow covered surroundings and narrow glaciers with nothing but kayaks, mountain bikes, climbing ropes and their own two feet to take them through to the end of the 375 mile (600km) route. The course was designed to be a true test of conquering unspoiled natural landscapes, with the teams having to work together and combine the best of their navigation skills and strategic planning for the various stages involving trekking, mountain biking, sea kayaking and rope handling. With just over half of the teams finishing, to even dream of winning it two years in a row, let alone actually doing it, demonstrates unrivaled determination. Fancy following in his footsteps? Organisers have announced details of a brand new Patagonian International Marathon taking place on September 30. 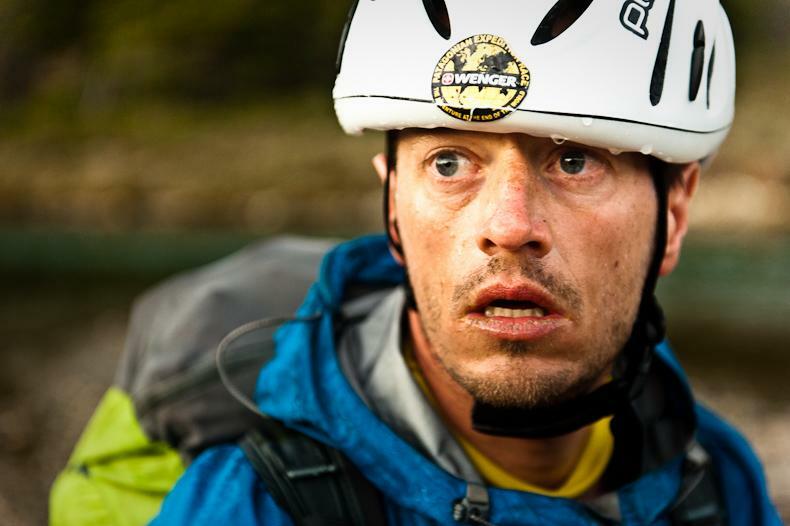 And if that sounds tame then the Patagonia Expedition Race is expected to return next year, just don’t bet against Nick Gracie making it three in a row. Written by Annabel, event organiser for Chillisauce a company specialising in Hen Parties and Stag Do Weekends. 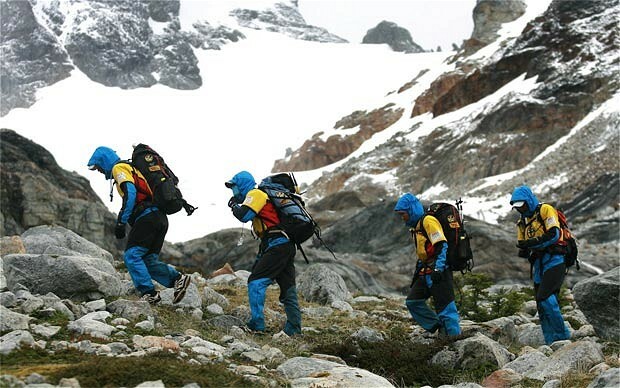 This entry was posted in Bizarre, Featured, Festivals and Events and tagged Nick Gracie, Patagonian Expedition Race. Bookmark the permalink.